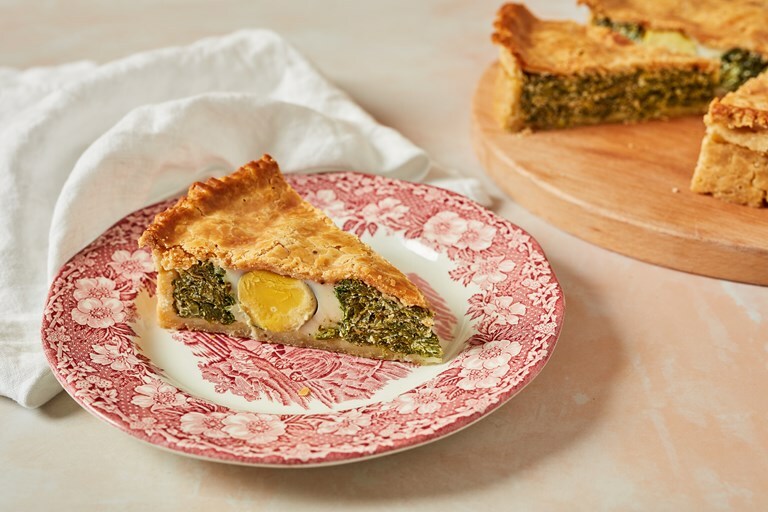 Thanks to the gluten-free suet pastry used in this torta pasqualina, everyone at the dinner table can enjoy this Italian Easter pie. The filling is comprised of spinach, ricotta and spring greens, flavoured lightly with nutmeg and lemon zest. 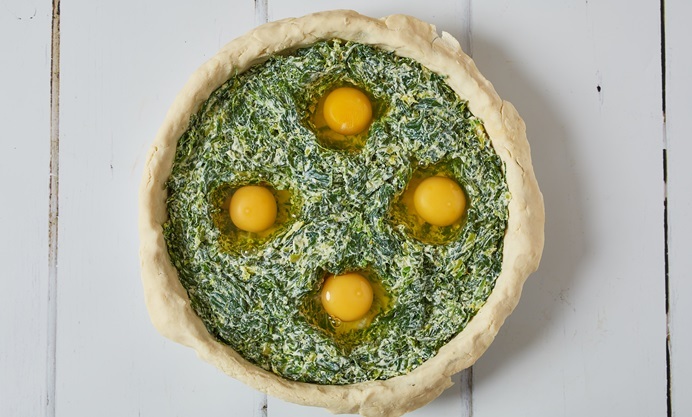 Eggs are cracked into the filling, and look fantastic when sliced – it's wise to create some kind of marker on the pastry so you know where to slice the pie for a clean cross-section of egg.